To make the car work efficiently, modern cars use disc brake rotors. The presence of these disc brakes is connected to the wheel of the car. It is made out of metal and spins with the wheel as the car moves. As you apply brakes to stop the car, the pads of brake rub against the rotor metal and it slows down the speed of the car. The main work of rotor brake is to transform kinetic energy into heat energy for the car. Rotor brake absorbs the kinetic energy which gets into heat energy with dissipating it. It requires a smooth surface and a mass specifically to work properly. If for instance, the conditions do not meet then the rotor does not make good contact with the pad of brakes. It decreases the effectiveness of the car system and may also end up as the failure of the brake. 5 How to determine its performance? 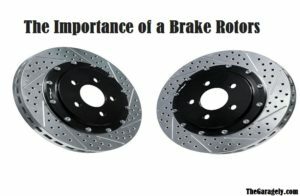 The importance of brake rotor depends upon certain factors which are essential for all the vehicles. Here are few components of brake rotor to keep in mind before you operate them. The new brake rotor is thick in size along with having a huge capacity to absorb heat to spread if efficiently through the system of the car. Over the period, the rotor metal wears away if not maintained. If it gets worn, then the brakes of the vehicle will not perform properly. It will not function properly to facilitate the metal into the transformation of heat. Each rotor brake will have less thickness remaining and stamped for it to work properly. All the brake rotors need to have an accurate thickness for it to perform well for the car system. For the optimal brake service of the car, the rotor should work perfectly. The brake pads need to be even with the surface of the rotor. However, the rotor surface needs to be smooth and should be of quality. The surface of the rotor can sweep and may get scratched over the time. It is one of the common problems faced in the vehicles. It is always better to avoid the factors which can score the surface of the rotor or make it damage. You have to replace the disc brake pads after a few months to keep it maintained. If they are worn, then metal parts get in direct contact with the surface of the rotor. It damages the surface whenever the brakes get applied while driving the vehicle. The brake pad can grind the surface and make it groovy too. When you replace the brake pads, it will reduce the contact with the surface of the rotor. With replacing it, it will decrease the performance of the brake pads over time. It is always better to resurface it rather than replacing it for the smooth and even performance. You have to maintain it after every few weeks for the consistently positive results. If you do not find the rotor to be thick, then consider to replace it so that it can make the brakes work properly. 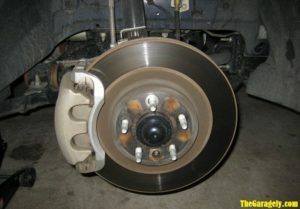 Brake rotors work as one of the essential parts of the vehicle. It is a part of brake system by squeezing the brake pad when the brakes are applied. The friction occurs with slowing down the car speed. The friction is known as the heat energy which transforms from the kinetic energy which spreads through the rotors. Fitting the rotor in the vehicle does not mean that it will also perform well. The performance of the rotor depends upon the thickness and quality of the material. There can be multiple options for the rotors out there, so you have to pick the right one which is original and have good quality. You have to do your homework before buying the right rotor for your vehicle. How to determine its performance? The performance of the rotor determines the quality. The design, function, friction, material, the capacity of cooling, noise, thickness, and expectancy of life are all the components of a good quality rotor. It needs to function properly with good absorption and spread heat throughout the system of the car. The longer it takes to dissipate heat energy, the riskier it would be for the driver to use the brakes. If you wish to drive safely, then good rotors are essential in your vehicle. For all the car owners, they have to maintain their cars for it to function better consistently. It helps the brake function better with heating it correctly. It operates the car and enhances the experience of the user as they select the right brake rotor. There can be wear and tear in the rotor brakes as you use the car frequently. You have the option to rebuff it or replace it depending upon the condition of rotor brake. You can inspect it yourself, but for that, you will need to have special equipment for the car. Most of the car owners do have the basic equipment with them to check on the basic maintenance of the car. Always make sure that you check the car an hour after you have used the car. It needs to have a cold engine as you check on the brake rotors as it can release immense heat. You can view the thickness of the rotor brake and spot the wear and tear easily too. It helps you analyze whether you need to take action or take it to the professional to fix it. Always prefer the reputed companies to purchase the brake rotors as the car performance is dependent on it.